Job done for the 4th Edition of Costa del Swing Festival. 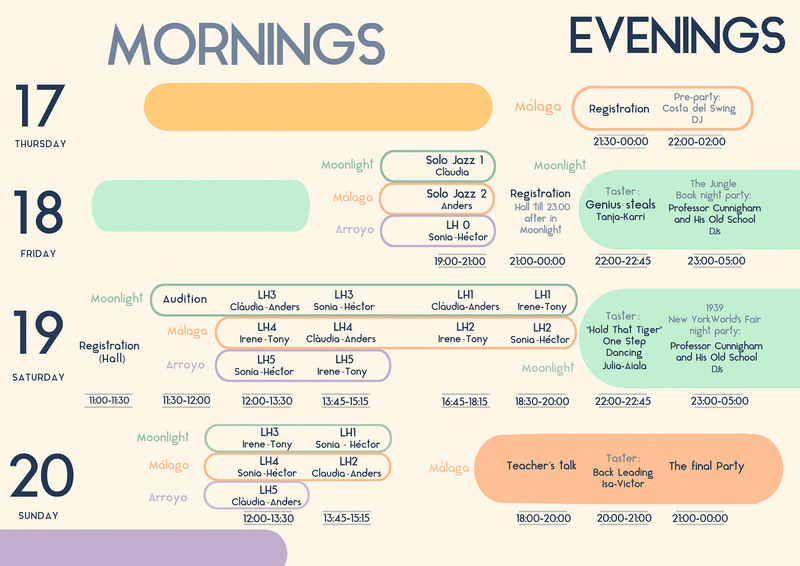 Preparation of advertising poster and design of the festival schedule. 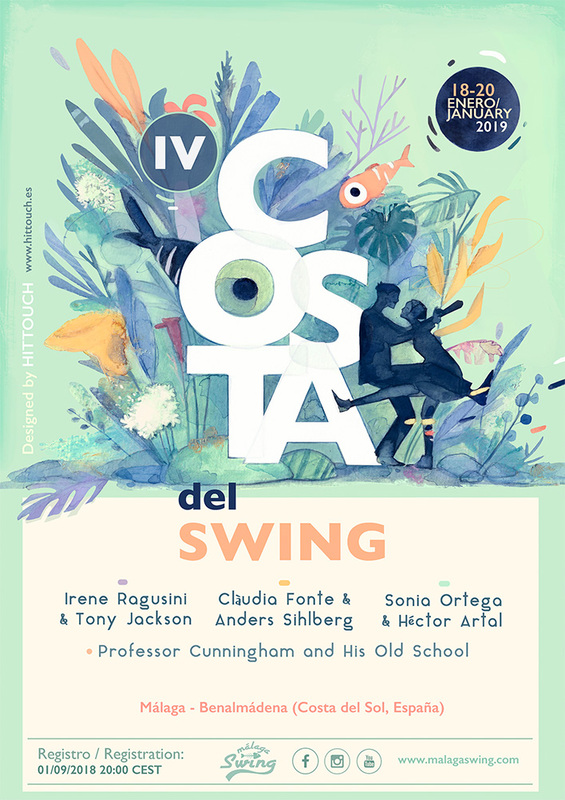 The event is organized by Málaga Swing, a collective created in 2014 dedicated to spread the swing in Málaga and which also teaches Lindy Hop and Balboa classes of different levels.